HMD Global have announced that their new Nokia 1, Nokia 6, Nokia 7+ and Nokia 8 Sirocco will be launching into the Australian market in May. The new Nokia 6 ($399) and Nokia 1 ($149) will be available in selected Australian retailers from this Friday, May 4th while the Nokia 8 Sirocco ($1199) and Nokia 7 Plus ($649) will be available in selected Australian retailers from Tuesday, May 17th. 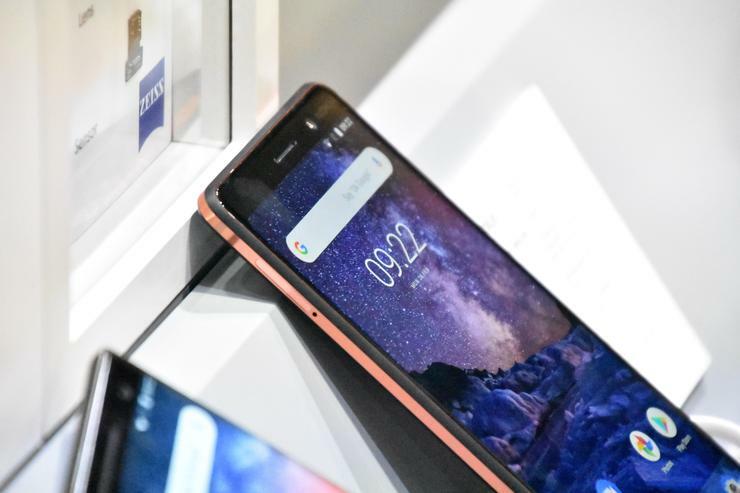 All four handsets were announced at this year's Mobile World Congress in Barcelona, with the Nokia 8 Sirocco being touted as the rejuvenated brand's "first true flagship" device. The Nokia 6, Nokia 7 Plus and Nokia 8 Sirocco are all set to arrive as part of Google's Android One program while the Nokia 1 runs on Android Go: Oreo Edition. According to Mark Trundle, Country Manager for ANZ at HMD Global, "You know how passionate we are about design. Great design should deliver an intuitive and effortless interaction; it should look and feel incredible, and perform flawlessly. Above all, it should make you feel something." "The Nokia 8 Sirocco is the true embodiment of that effortlessly elegant craftsmanship, combining a premium curved glass finish with incredible performance. The Sirocco name is synonymous with ultra - premium Nokia phones of the past, and it felt like the perfect match for already popular phone into this design classic. We are delighted to offer this phone exclusively through JB Hi-Fi." Look for our full review of the Sirocco in the coming weeks.